Seed companies are a crucial partner in efforts to raise smallholder farmer productivity and achieve food and nutrition security. For the first time, the Access to Seeds Index shines a light on the seed companies taking the lead in reaching smallholder farmers in Western and Central Africa. A large part of the answer to the question of how to raise agricultural productivity, while also remaining within the planetary boundaries and tackling climate change, lies in plant breeding – but only when the results reach smallholder farmers. This is where the seed industry comes in. After shining a light on the performance of global seed companies and on the regional seed industry in South and Southeast Asia and Eastern and Southern Africa, the 2019 Access to Seeds Index now shifts its focus to Western and Central Africa. The 2016 Access to Seeds Index found that Western and Central Africa is largely overlooked by global seed companies. Regional experts pointed out that this finding ignored the emergence of homegrown seed actors in recent years. Two landscaping studies published in 2018 identified over 100 seed companies and 50 seed-producing cooperatives across 20 countries – numbers that are indeed indicative of local potential. With guidance from a regional expert committee, 23 leading seed companies were selected for the first Access to Seeds Index for Western and Central Africa. The 17 companies headquartered in Africa are referred to as regional companies. The six companies headquartered outside the continent are referred to as global companies. How is the regional seed industry performing? Is it well positioned to deliver quality seed to smallholder farmers, thereby supporting the fight against malnutrition and climate change? This index seeks to answer these questions and more. The Access to Seeds Index, initiated by the Amsterdam-based Access to Seeds Foundation, is one of the first benchmarks to be published as part of the World Benchmarking Alliance (WBA), launched in September 2018 during the UN General Assembly in New York. The goal of WBA benchmarks is to increase the contribution of the private sector to achieving the SDGs. 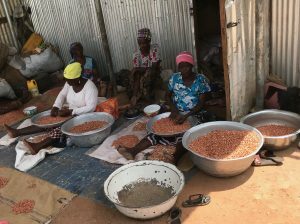 Nigeria-based Value Seeds tops the first Access to Seeds Index for Western and Central Africa, underscoring the potential of homegrown seed companies to reach smallholders in the region. By providing ‘value kits’ and training, the company improves accessibility and affordability of quality seed, particularly for next-generation and women farmers. 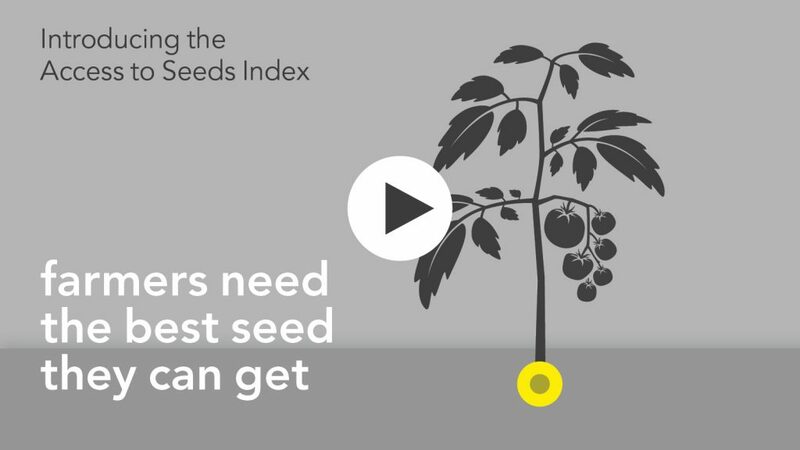 The Access to Seeds Index presents an overall ranking, which is the weighted sum of the results in seven measurement areas. The rankings for each of these areas are available below. The top ten is evenly split between regional and global companies, representing the diversity of the industry in Western and Central Africa. Leading the way is Nigeria-based Value Seeds, which, like most other index companies originating in the region, operates exclusively in its home country. A young, aspirational business, it has focused since its establishment in 2009 on laying the groundwork for future growth: setting up a country-wide distribution network, providing training and linking farmers to output markets. It is now actively involved in breeding and expects to release its own varieties shortly. Technisem from France ranks second. It has the widest presence in the region, covering 17 countries and offering training in 13 of them. Through the Novalliance group, of which it is a leading member, it partners on breeding and marketing activities with various African seed companies. Three of these – Tropicasem, Semagri and Nankosem – also feature in the top ten. In third and fourth place respectively, East-West Seed and Syngenta are, alongside Technisem, the only companies from outside the continent with breeding activities in the region. Tropicasem, from Senegal, and Maslaha Seeds, from Nigeria, are also active in research & development and are fifth and sixth. Seed Co, in seventh place, is the only pan-African seed company in the index. It recently started breeding activities in Ghana. Companies at the lower end of the ranking generally disclose limited information or demonstrate few research and development activities. 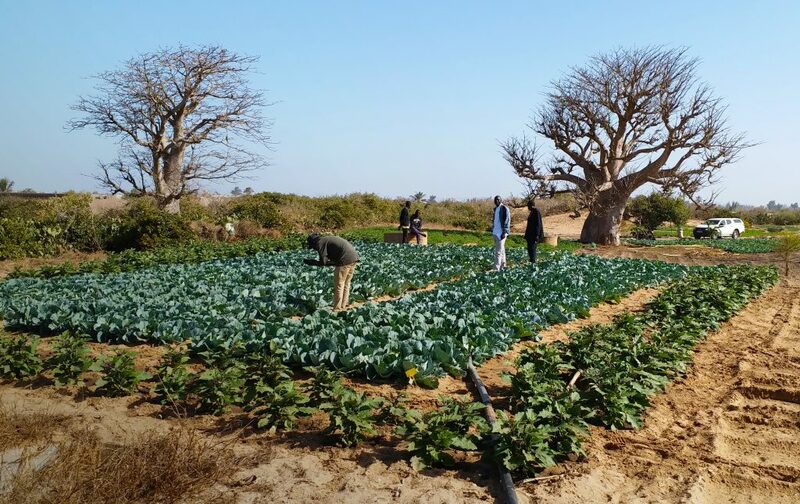 Agronomists of Seeds2B working on a cabbage field trial in Senegal. With Seeds2B the Syngenta Foundation for Sustainable Agriculture helps smallholder farmers access quality, affordable seeds of improved varieties for the crops they need. The number of undernourished people in Western and Central Africa has been on the rise since 2014, according to the FAO. Climate change has been identified as a major reason for the increase. With access to new crop varieties being one of the main strategies to help farmers adapt to climate change, it is encouraging that the number of private seed-producing actors in the region has risen over the past decade. However, less than half of the 23 index companies conduct breeding, likely explaining the high number of varieties that are older than five years. In nearly 70% of the countries, no private sector breeding programs were identified. On a positive note, company portfolios are generally diverse, encompassing field crops, legumes and vegetables. All companies provide farmer training. However, most regional companies are only active in their home market, and global companies concentrate their training in a few countries. As a result, no training is offered by index companies in nearly half of the index countries (45%). What does this mean for access to seeds? 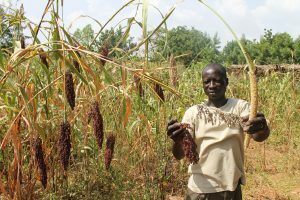 Is the seed industry delivering quality seed and new varieties to smallholders across the region? In short, no. However, the growing number of homegrown and global seed companies has the potential to change this, with resulting impacts on food and nutrition security. Plant breeding is the core activity of many seed companies around the world, but this is not the case in Western and Central Africa. Only 11 of the 23 index companies conduct plant breeding. Three of these are Nigerian (Maslaha Seeds, Premier Seed, Value Seeds), one is from Mali (SOPROSA), three operate internationally (East-West Seed, Seed Co, Syngenta) and four are part of the Novalliance group (Nankosem, Semagri, Technisem, Tropicasem). In 15 of the 22 countries in scope (70%), no breeding by index companies was found. Three regional seed companies report that their entire portfolio consists of varieties older than five years. Excluding Novalliance partner companies, for 48% of the crops in company portfolios the youngest variety offered is older than five years. Compared to regional companies in Eastern and Southern Africa, this is relatively high, likely a result of the small number of seed companies with their own breeding program. Meanwhile, global companies – all with active breeding programs – report that for 60% of the crops in their portfolio the youngest variety is less than three years old. Only for a few crops do more companies report selling hybrids than open-pollinated varieties. In field crops, this is only the case for maize. Of the 23 companies, 15 report having field crops in their portfolio. Nine of these companies offer a broad portfolio that includes vegetables. Maize (15 companies), rice (12) and sorghum (10) are the cereal crops that are reported most often. Ten companies sell groundnut, soybean or cowpea, all regional staple protein crops. However, no companies report having pigeon pea, dry beans or chickpea in their portfolio. Thirteen companies sell vegetable seed. More than half of the index companies are active in Nigeria and Senegal. In contrast, only a single company is active in the Central African Republic, Equatorial Guinea and Guinea-Bissau. The majority of countries have a maximum of four index companies present. Capacity building activities are also concentrated in Nigeria (eight companies), although company involvement is at a much lower level than sales. Extension services are lacking in ten countries. However, regional companies in particular organize robust capacity building activities in the country where they are headquartered. Technisem stands out for offering capacity building in 13 of the 17 countries where it is present. The number of global seed companies active in Western and Central Africa is increasing. This becomes apparent when one combines data from across the 2019 Access to Seeds Index. In addition to 11 of the 13 companies in the global index, companies selected for the South and Southeast Asia index are active in the region, including as Advanta (UAE), BRAC Seed and Agro Enterprise (Bangladesh), Charoen Pokphand (Thailand), Known-You Seed (Taiwan) and Nongwoo Bio (South Korea). Companies from Eastern and Southern Africa are also establishing a stronger presence. Seed Co, headquartered in South Africa, has 4 production sites in the region. East African Seed, from Uganda, is present in three countries, and NASECO, also from Uganda, in one. The assessment of company performance is based on a total of 59 indicators grouped in seven measurement areas. Each measurement area has four categories of indicators: Commitment, Performance, Transparency and Leadership. A company’s overall score is the weighted sum of the scores in each measurement area. Smallholders are the main clientele of seed companies in this region, but few companies have formulated clear strategies and targets to reach them. There is a geographic imbalance in seed sector development as investments are concentrated in a handful of countries. Syngenta leads the way in Governance & Strategy, thanks to its corporate-wide Good Growth Plan, which is committed to smallholder empowerment globally, and to the more specific policy work of its affiliated Syngenta Foundation, which plays a leading role in efforts to improve the region’s enabling environment. 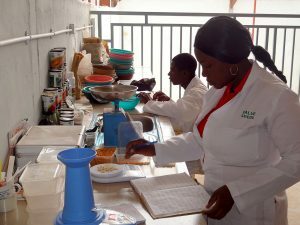 With a target to reach 40 million smallholders in sub-Saharan Africa by 2025, second place Seed Co also reports making significant contributions through national seed trade associations In third place is Nigeria-based Value Seeds, which plays an active role in seed sector development in its home market and demonstrates commitments relating to improved access to seeds for smallholder customers. Despite an average overall performance, Technisem receives leadership points for its influential role in smallholder-centered policies and strategies within the Novalliance. Companies in the middle and lower levels of the ranking typically have no formal commitments relating to access to seeds for smallholder farmers or lack transparency concerning their positions. Although almost all companies are members of national or regional seed trade associations, very few disclose details of their contributions to the work of these associations. Regional seed companies lack initiatives to conserve regionally significant germplasm. Although global companies have formulated commitments to conserve genetic resources, their activities rarely go beyond legal obligations. East-West Seed, Syngenta, and Corteva Agriscience top the ranking for Genetic Resources because of their adherence to international agreements governing the conservation and use of genetic resources. Monsanto provides access to its genetic resources in the region, through its collaboration with the African Agricultural Technology Foundation to develop a cowpea resistant to pod borer. Nankosem and Semagri, as part of the Novalliance, conserve germplasm in their own gene banks and disclose the scope of their track and trace systems when using genetic resources in their breeding programs. These companies also have informal commitments to the conservation and use of genetic resources. Pop Vriend Seeds has a commitment to work in accordance with the International Treaty on Plant Genetic Resources for Food and Agriculture (ITPGRFA) and Nagoya Protocol and supports activities that are funded by access and benefit-sharing mechanisms. Seed Co conserves germplasm within its own gene banks. Lack of investments in breeding activities has resulted in unclear positions on intellectual property among most regional companies. The majority of index companies have a position on farm-saved seed, with several expressing concern that this practice harms smallholder productivity. East-West Seed and Syngenta perform well in this measurement area, IP being largely the domain of global companies with broad breeding programs worldwide. These global companies have positions on IP that consider the needs of smallholder farmers, and East-West Seed and Syngenta also publicly disclose these positions. Many index companies acknowledge and respect the practice of farm-saved seed in the countries in which they are active, but several express concern that using farm-saved seed can hamper smallholder farmer productivity. Some actively discourage the practice. Pop Vriend Seeds and Value Seeds have tailored seed pricing strategies in the region. Both companies state that they consider the affordability challenges of smallholder farmers and offer them special discounts. The majority of companies receive relatively low scores in this measurement area, indicating that IP is not a priority for them. Company investments in breeding activities are low. Most regional companies rely on public breeding programs. Despite the growing presence of global companies in this region, these companies still show slow progress in developing varieties suitable for the region. Technisem owes its leading position in this measurement area to its testing and breeding activities in the region. The company has a relatively broad breeding program for global and local vegetable crops, for which it developed a company-wide system for incorporating local knowledge and feedback. Premier Seed ranks second, because of its strong commitment to breeding for smallholder farmers in the region and developing improved varieties of maize and sorghum. Value Seeds similarly has commitments to smallholder farmers and is the only company to engage in collaborative research and train plant breeders in index countries. It is currently setting up its own breeding program. East-West Seed ranks fourth, thanks in part to its commitment to developing varieties suitable for smallholder farmers. This is demonstrated by its global breeding programs that develop specific, regionally adapted traits. Nankosem and Tropicasem, which are part of the Novalliance together with Technisem, have similarly established local knowledge and feedback mechanisms and develop local crops of regional significance, such as African eggplant, brede mafane and sorrel (oseille de Guinée). Semagri, also a Novalliance company, is notable for its local knowledge and feedback mechanisms and breeding activities in Cameroon. Companies in the lower half of the ranking do not have breeding programs and often obtain foundation seed from research institutes that is subsequently multiplied and marketed. Seed production activities are concentrated in a few countries in Western and Central Africa, and the extent to which smallholder farmers are involved in these activities is limited. Development of quality management systems is a major area for improvement. Value Seeds outperforms it peers in this measurement area by demonstrating a commitment to and engaging with local players in the index region, thereby contributing to seed sector advancement. Maslaha Seeds takes the second spot for its commitment to and involvement of smallholders in production. Premier Seed’s commitment to seed production and its involvement with local players in their activities puts it in third place. Companies in the middle of the ranking also demonstrate strong collaboration with local players. However, developing and monitoring labor standards as well as implementing quality management systems are major areas for improvement for these companies. Companies at the bottom of the ranking lack a commitment to seed production in index countries and are not transparent about their seed production activities. Regional seed companies concentrate mainly on their home market. As a result, several countries are underserved by the industry. Most index companies offer a broad portfolio, including for field crops, vegetables and legumes. Technisem and Value Seeds lead the way in Marketing & Sales, with Technisem taking the top spot thanks to its much broader regional presence. In addition, its portfolio contains regionally important local crops such as African eggplant and spider plant. 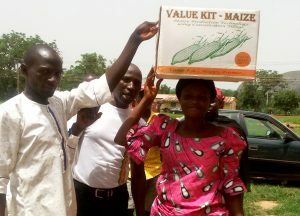 Nigeria-based Value Seeds focuses exclusively on its home market but has a notable network of stores and marketing activities, including events targeting women smallholder farmers, and a maize value kit tailored to the needs of smallholder farmers. Maslaha Seeds, also from Nigeria, ranks third because of its commitment to smallholder farmers, affordability schemes and extensive distribution network. East-West Seed owes its fourth-place position to its commitment to smallholder farmers and decent distribution network through which it offers most of its global portfolio. The bottom third of the ranking is made up of companies with either a very limited reach and no specific approach toward smallholder farmers or companies that disclose few activities specific to index countries. Nearly all index companies offer extension services, but these are concentrated in a small number of countries. In over 60% of the countries, extension services are offered by only one company or are non-existent. Syngenta and Value Seeds lead the way in Capacity Building. Syngenta, in tandem with its affiliated Syngenta Foundation, demonstrates innovative approaches, particularly in Mali and Senegal, where it is leveraging its collaborative RiceAdvice app to encourage youth entrepreneurship and for which it receives leadership points. Value Seeds, in its home market of Nigeria, demonstrates broad capacity building activities as well as tailored approaches for next-generation and women smallholder farmers, both key target groups. AINOMA rounds out the top three, also receiving leadership points for its comprehensive program to engage young people in farming in over 40 schools in Niger. Despite an average overall performance, Technisem is a clear leader in extension services, with activities in 13 countries, 11 more than its nearest peers, none of which provide extension in more than two index countries. There is also a clear geographic imbalance in the provision of extension, with no extension activities found in nine countries. Furthermore, tailored approaches for women smallholder farmers are generally lacking and, when present, tend to be standalone initiatives that are rarely linked to corporate strategies. Companies at the bottom of the ranking disclose little or no information related to smallholder training. The index presents scorecards for each company, which can be accessed via the links below. The scorecards highlight a company’s presence and portfolio, leading practices and notable findings. They also present comparative strengths in relation to the other companies assessed. 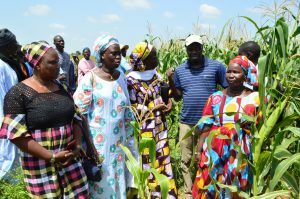 Farmers in Benin participate in a Knowledge Transfer program on basic vegetable production, organized by East-West Seed in partnership with the International Fertilizer Development Center (IFDC). Here farmers are taught mulching by applying rice hulls on plant beds. The country reports provide an overview of the presence and activities of all 23 index companies in each of the 22 countries in scope of the Access to Seeds Index. Five index companies report having a presence in Benin. East-West Seed is the only index company that has breeding activities, while Technisem is the only company providing extension services and producing seed in the country. Seventeen index companies report having a presence in Burkina Faso, of which two are headquartered in the country. Two index companies partner in breeding, and five produce seed. Only two companies provide extension services. Thirteen index companies report having a presence in Cameroon, of which one is headquartered in the country. Two index companies partner in breeding, while five produce seed. Only two companies provide extension services. East-West Seed is the only index company with a presence in Central African Republic. No index company invests in breeding, production or extension in the country. Two national seed-producing cooperatives (not included in the index) produce and sell seed for field crops. Only two index companies have a presence in Chad. No index company invests in breeding, production or extension in the country. Several national companies and cooperatives (not included in the index) produce and sell seed, but none of them is active in breeding. Seventeen index companies have a presence in Côte d’Ivoire, of which one, BILOHF, is headquartered in the country. Only three offer extension services. No company reports breeding activities, and one produce seed and has processing facilities. Eleven index companies have a presence in Democratic Republic of Congo, although only three provide extension services. Only one company reports breeding, production and processing activities. Several national companies (not included in the index) produce seed locally. Technisem is the only index company with a presence in Equatorial Guinea, and it only sells seed. No index company invests in seed sector development. No data is available on national seed-producing actors. Five index companies have a presence in Gabon. Most limit themselves to sales. Only Technisem reports testing and extension activities. 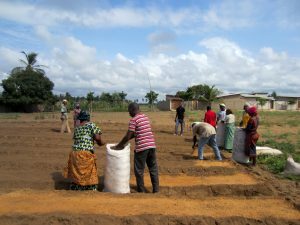 Gabon is one of the few countries in the region where no seed-producing cooperatives could be identified. Seventeen index companies have a presence in Ghana, but only two companies provide extension services. Seed Co is the only company with breeding activities. It also produces seed, as does Heritage Seed, which is headquartered in the country. Five index companies have a presence in Guinea. None of them is involved in local breeding, production or extension services. Although several national seed companies and cooperatives are involved in seed production, none of them is involved in breeding. Only one index company, Pop Vriend Seeds, has a presence in Guinea-Bissau. No index company and no national seed companies or cooperatives were found to be investing in seed production or breeding in the country. Four index companies have a presence in Liberia. They limit themselves to sales. Several seed-producing cooperatives (not included in the index) produce seed locally. No seed companies or cooperatives were found to be involved in testing or breeding. Sixteen index companies have a presence in Mali. However, only four accompany their sales activities with extension services. 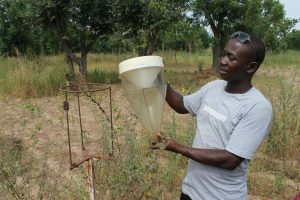 Mali-based Soprosa and Syngenta report breeding activities. Three index companies, which produce seed locally, are headquartered in the country. Only four index companies have a presence in Mauritania. They limit themselves to sales. No index companies were found to be investing in activities such as breeding, testing, production or extension. Eleven index companies have a presence in Niger, one of which is headquartered in the country. No company has breeding activities, but three have testing locations. Only one company produces seed locally as do several cooperatives (not included in the index). With four index companies headquartered in the country and 20 others having a presence here, Nigeria is clearly a regional hotspot for the seed industry. Four companies have breeding activities, six produce seed and nine are involved in extension services. Seven index companies have a presence in the Republic of the Congo. One of them provides extension services, but none produces seed. No index company and no national seed companies have breeding activities in the country. Twenty-one index companies report having a presence in Senegal. Two of them are headquartered in the country. Only three companies provide extension services and three have breeding activities. 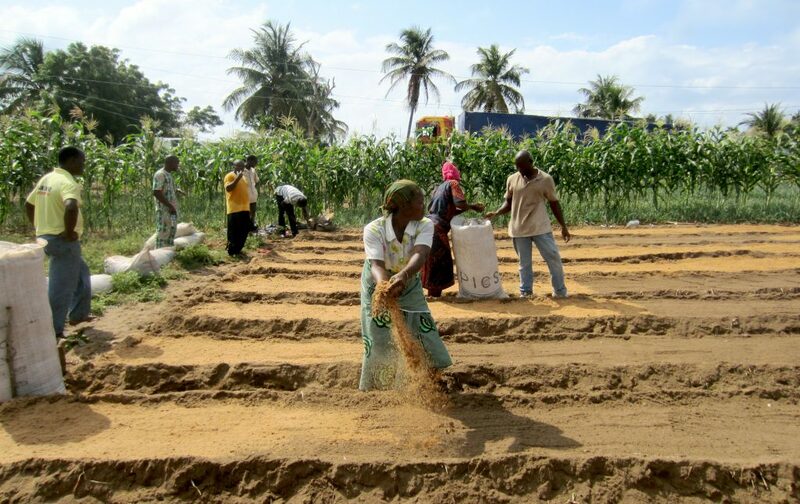 Senegal has a strong infrastructure of seed-producing cooperatives. Six index companies have a presence in Sierra Leone. They limit themselves to sales. No index company breeds or produces seed in the country. However, several national seed companies and cooperatives are involved in local seed production. Eight index companies have a presence in The Gambia, limiting themselves to sales activities. No index company breeds or produces seed in the country. However, several seed-producing cooperatives (not included in the index) produce seed locally. Seven index companies have a presence in Togo. No company has breeding activities, but two have testing locations. Only Technisem is involved in extension. No index company produces seed locally, although several cooperatives (not included in the index) do as well. The online and printed reports presented by the Access to Seeds Index are intended to be for information purposes only and not as promotional material in any respect. The material is not intended as an offer or solicitation for the purchase or sale of any financial instrument. The reports are not intended to provide accounting, legal or tax advice or investment recommendations. As a multi-stakeholder and collaborative project the Access to Seeds Index involves members of relevant stakeholder groups in expert or advisory committees. The findings, interpretations and conclusions expressed in Access to Seeds Index reports may not necessarily reflect the views of all involved or the organizations they represent. The data used to compile the Access to Seeds Index, the ranking and findings are based on information publicly disclosed by companies or submitted on engagement. Information has been cross-checked and where relevant, verified with experts. Final scorecards were discussed with individual companies for fact checking purposes. Whilst based on information believed to be reliable, no guarantee can be given that it is accurate or complete. The Access to Seeds Index 2019 is made possible through the collaborative team efforts of many experts, authors, researchers, analysts and funders. Also the guidance from the Expert Review Committees and the Supervisory Board, as well as the cooperation with the team of the World Benchmarking Alliance have been helpful. On the side of companies, representatives have been available to provide feedback on the methodology in various stages of the development process. Also teams have been working on gathering and submitting the requested data and provide clarification where necessary. The Access to Seeds Foundation is grateful for the contributions and expertise, of each and would like to offer thanks to those who provided valuable feedback throughout the development of the Access to Seeds Index. No part of this report may be reproduced in any manner without the written permission of the Access to Seeds Foundation.